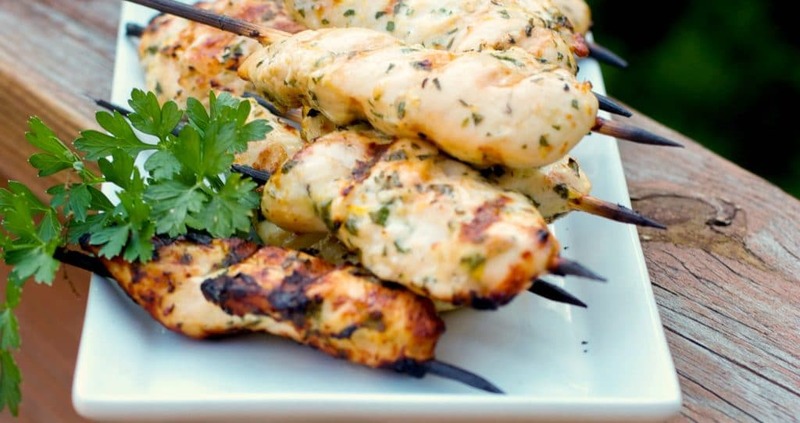 Marinate chicken in lemon juice, garlic, fresh parsley and extra virgin olive oil; then place them on skewers for these deliciously light and moist Gremolata Chicken Skewers. These chicken skewers make a fantastic, quick weeknight meal and the kids will LOVE them! They can be prepared the night before, then just grill them when you get home. 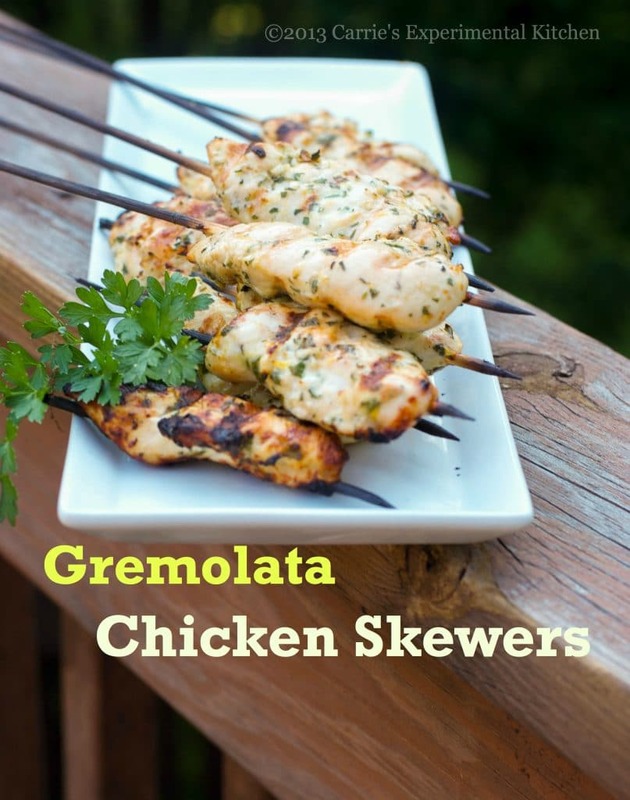 The simple flavors of fresh parsley, lemon and garlic would also make these Gremolata Chicken Skewers a fun, healthy appetizer for your next get together with family and friends. In a small bowl combine the lemon zest and juice, garlic, chopped parsley and oil. Whisk together. Add the chicken to a large resealable plastic bag and add the marinade and refrigerate for at least 2 hours. Heat grill and remove the chicken from the bag. Grill chicken until it is cooked through; approximately 5-6 minutes per side (grilling times may vary depending on type of grill and whether or not you close the lid. Cooked chicken should be 165 internal degrees).